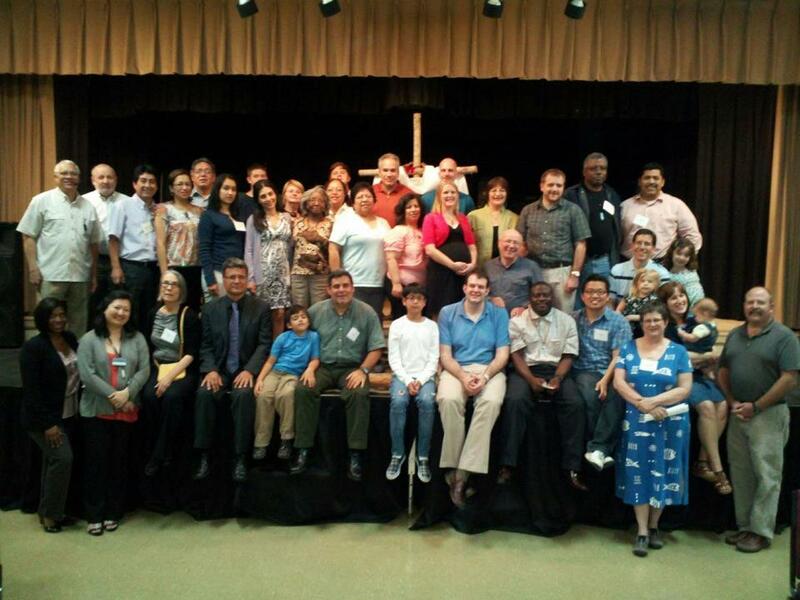 For the past two and a half weeks, we have been between Leesburg and Tampa at a training for UMC missionaries. Tomorrow afternoon (April 29th) this group will be commissioned as Missionaries, and then recognized at General Conference in Tampa. Here are a couple of reflections from this time. Do you have a stereotype in your mind for a missionary? What do they look like and what do they do? This is one of the questions our group was asked when we first gathered nearly 3 weeks ago. Many of us shared that all of the missionaries we encountered growing up were sent from the United States or Western Europe to lesser developed countries. They shared Christianity by proclaiming the message of the gospel, and some provided practical help by sharing “modern” medicine and technology. One of the phrases that is often shared by the Global Ministries leadership is that the United Methodist Church sends missionaries “from everywhere, to everywhere”. There is no longer a perception of a one-way flow of spirituality from the west to the rest. Of the 24 missionaries being commissioned tomorrow, there are people from Brazil, Chile, Canada, Columbia, Congo, Mexico, Puerto Rico, and the United States. It has been a beautiful thing to hear the stories of how these individuals came to know Christ, and how they discerned God’s call to their current service. Some of them are from backgrounds and places drastically different than ourselves, and we are grateful for both the new friendships and the opportunity to see glimpses of God’s Spirit at work all across the world. This quote come from Paul’s letter to the church in Philippi. He is sharing about the humility and servanthood demonstrated in the incredible life of Jesus (Phil 2:1-11). One who had power and yet surrendered that to walk among us. One who had knowledge and wisdom and yet poured himself out as a servant. During our training, we have reflected on how this action of God coming among us offers a model for Christian ministry. Being a servant and a witness to another culture (or to another person, for that matter) means first walking with them in love, learning to understand their life, their passions, and their spirituality. This is not just learning about another group of people, but also learning from them, and learning with them. If we go to a person or a group as only a “teacher” and a “knower”, then we close the door to people sharing what they know with us. So I’m interested…what is your experience on this topic of humility and conversation? When others have brought up the subject of faith in God, have they sought to learn from you and understand you, OR have they aimed to teach you something? When others have brought up the topic of politics in this election year, have they sought to learn from your experience (or open a dialog) OR are they proving a point? on. You have done an impressive task and our whole community will probably be thankful to you.